After winning the NGEN category in the 2013 MFA Awards, John Dawson and Mark Golafshan, have worked with Youth Off The Streets to turn their entry into reality. The #laceitup campaign will raise awareness and donations for Youth Off The Streets from young people between 13 and 17 years of age. The challenge set out in the NGEN brief was to encourage fundraising and participation in the charity’s Sleepout campaign. By distributing blue, branded laces, students and the general public have their attention turned to the fact that young homeless people cannot take their shoes off at night. This powerful point of reflection is punctuated by the hashtag #laceitup. Students are encouraged to share their participation and fundraise for the charity while wearing the vibrant laces on their school shoes. The laces are available for purchase from the Youth Off The Streets’ website. Anyone can get involved and #laceitup their own way. Father Chris Riley, CEO and Founder of Youth Off The Streets says it’s important to highlight the fact that there are still 47,000 homeless young people around Australia every night. “There are still far too many young homeless people on the streets of Australia. Most young people have the luxury of tying their shoes on in the morning and taking them off at night, the young homeless sleep with shoes on. Once you’re aware, tying your shoes in the morning becomes something special,” he says. Several celebrities and personalities have already backed the campaign. The cast of Home and Away, winner of The Voice 2014 Anja Nissen, Aussie boxing great Jeff Fenech, radio presenter Maz Compton, Sydney Swan Luke Parker and a bounty of bloggers and vloggers have all contributed to the campaign across their social channels. The laces have also made their way into parliament with Minister for Health & Medical Research Jillian Skinner, Minister for Family and Community Services Gabrielle Upton, Member for Blue Mountains Roza Sage and others getting creative with their #laceitup laces during Question Time this week. With help from Wilson Property Agents and Boom Video, the campaign continues to grow. John Dawson and Mark Golafshan from Mindshare have volunteered over the last nine months to bring this campaign to life. The aim of which has been to raise awareness and much needed funds for Youth Off The Streets’ ongoing work with disadvantaged youth. 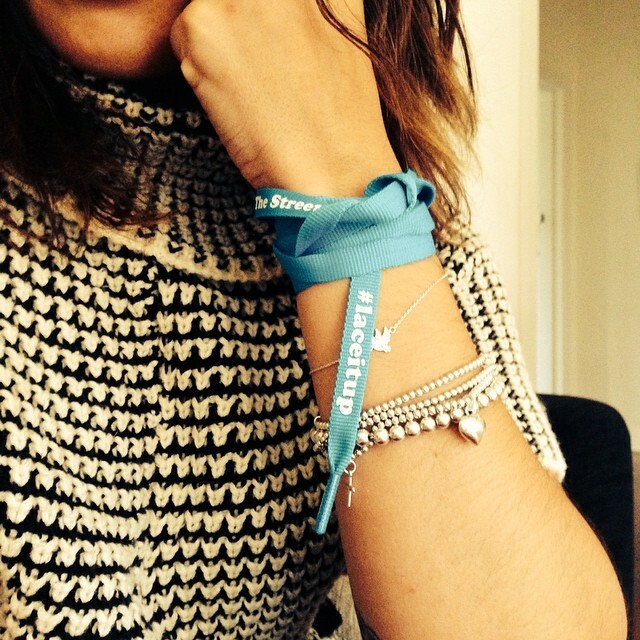 Get your laces and get involved today! 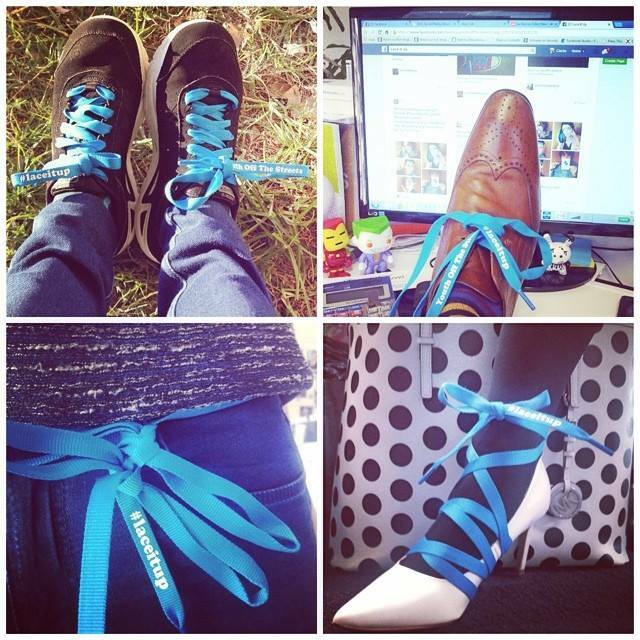 Go here to get your laces, and then upload a photo with #laceitup across social media. How will you #laceitup for Youth Off The Streets? John and Mark tying up their shoelaces. Linda Wong, Director, People at MFA, added: “Every year the MFA Awards includes an NGEN category, where those who are NGEN members can crack a problem and provide a solution for a charity. We are so excited that this year, John and Mark, the 2013 winners are able to bring to life their strategy for Youth Off The Streets.